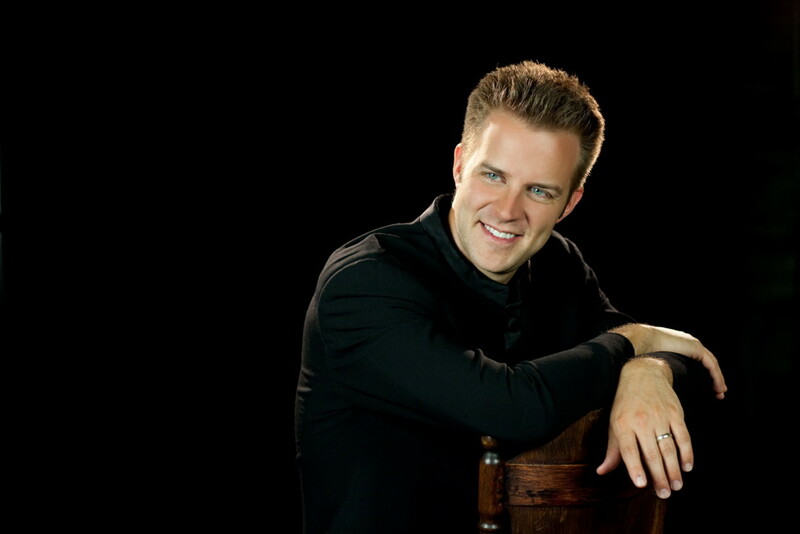 Bryan Wallick is gaining recognition as one of the great American virtuoso pianists of his generation. Gold medalist of the 1997 Vladimir Horowitz International Piano Competition in Kiev, he has performed throughout the United States, Europe, and South Africa. Dr. Wallick made his New York recital debut in 1998 at Carnegie’s Weill Recital Hall and made his Wigmore Hall recital debut in London in 2003. He has also performed at London’s Queen Elizabeth Hall with the London Sinfonietta and at the St. Martin-in-the-Fields Church with the London Soloist’s Chamber Orchestra. In recent seasons, Dr. Wallick has performed with the Boise Philharmonic, Brevard Symphony, Cape Town Philharmonic, Cincinnati Pops, Evansville Philharmonic, Illinois Philharmonic, Johannesburg Philharmonic, Kentucky Symphony, Kwa-Zulu Natal Philharmonic, Phoenix Symphony, and the Winston-Salem Symphony; and collaborated with Erich Kunzel, Marvin Hamlisch, Robert Moody, Daniel Boico, Arjen Tien, Yasuo Shinozaki, Andrew Sewell, Vladimir Verbitsky, Victor Yampolsky, Josep Vicent, Leslie Dunner, Alfred Savia, Christopher Confessore, and Carmon Deleon among others. Dr. Wallick has performed recitals at the Chateau Differdange in Luxembourg, on the Tivoli Artists Series in Copenhagen, Ravina's Rising Star Series, Xavier Piano Series (Cincinnati), Scottsdale Center’s Steinway Series, Sanibel Island Music Festival, and the Classics in the Atrium Series in the British Virgin Islands. In March 2002, Dr. Wallick played two solo performances at Ledreborg Palace for HRH Princess Marie Gabrielle Luxembourg, and HRH Prince Philip Bourbon de Parme. Bryan Wallick is also deeply committed to chamber music and has performed on tours with violinists Yi-Jia Susanne Hou, Miriam Contzen, Sergei Malov, Zanta Hofmeyer and cellists Wolfgang Emmanuel Schmidt, Peter Martens and Anzel Gerber. He has recently taken over as the Artistic Director of Schalk Visser/Bryan Wallick Concert Promotions which hosts many international musicians who perform concert tours throughout South Africa. Dr. Wallick has also been invited in the summer of 2017 to be on the guest faculty of the largest music festival in Italy, Musicfest Perugia. Bryan Wallick’s 2015-16 highlights included return engagements with the Cape Town Philharmonic, Kwa-zulu Natal Philharmonic, Pretoria Symphony Orchestra and he also performed solo and chamber recitals throughout South Africa with violinist Rachel Lee Priday, violinist Sergei Malov, cellist Peter Martens and soprano Hanli Stapela. His 2016-17 engagements include a return recital at the Ravinia Festival in Chicago, solo recitals at the Rising Star Series in South Hampton, New York, the Fitton Center in Ohio, Musicfest Perugia in Italy, and throughout South Africa and Zimbabwe. He will also collaborate with cellist Zuill Bailey on a South African tour. Dr. Wallick has performed on National Ukrainian Television and Radio, on Danish National Radio, on Chicago’s WFMT Fazioli Series, on BBC's radio show "In Tune," and on NPR's "Performance Today." He was recently given a grant by the Scottsdale Center for the Performing Arts to explore his synesthetic realities in a multimedia project that allows the audience to see the colors he experiences while performing. Synesthesia is the ability to experience two or more sensory experiences with one stimulus. Bryan Wallick sees colors with each musical pitch and has created a computer program that projects images of his colored visions to the audience. Dr. Wallick studied with Jerome Lowenthal in New York City where he was the first Juilliard School graduate to receive both an undergraduate Honors Diploma (2000) and an accelerated Master's Degree (2001). He continued his studies with Christopher Elton in London at the Royal Academy of Music where he was the recipient of the Associated Board International Scholarship, receiving a Post-graduate Diploma with Distinction, and previously studied with Eugene and Elizabeth Pridonoff at the Cincinnati College Conservatory of Music. George Plimpton's feature article on Bryan Wallick appears in the March 2002 edition of Contents magazine.